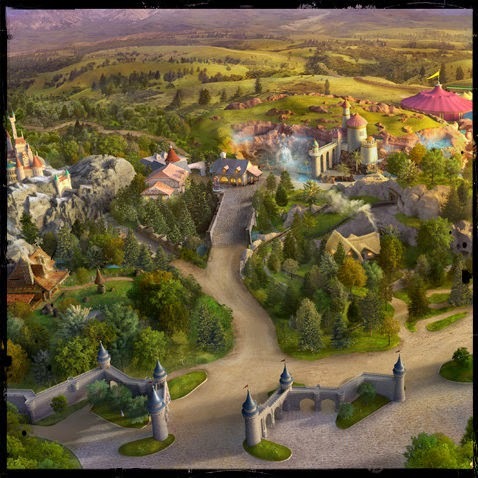 Now that we've settled into our relationship with the outcome of New Fantasyland we thought it appropriate to give some updated thoughts on the entire project. This new area of The Magic Kingdom was opened in phases, which made judging its entirety very hard, although you may remember that we did share our thoughts prior to it being finished. I waited a while to write this, as my feelings on Disney tends to change over time. Some things I'll love initially and grow to hate, while the opposite is certainly true. I wanted any harsh feelings to smooth out if they were going to. The first wave of attractions to open all fell within Storybook Circus, itself a subsection of New Fantasyland. Both Dumbo and Goofy's Barnstormer are rethemed previously existing attractions. I really appreciate the layout of Dumbo, and the water feature upgrade is a huge plus especially at night. While I've always been a fan of Barnstormer, the new circus performer theme is much more effective than the previous. But basically these two attractions are the same as before, experience wise. The real winner in Storybook Circus is Pete's Silly Sideshow. I understand that meet and greets are among the most divisive topics in the Disney community, but if we have to have these things this is the way to do it. The space is incredibly comfortable, with outstanding details...which is about all you can ask for in a meet and greet queue. But the real fun is in the characters themselves and the gorgeous backdrops that are provided. These four characters (Daisy, Minnie, Goofy, Donald...) in this location have provided some of the best experiences in recent trips. The idea of the characters being sideshows really gets them in a playful mood, providing a fun backstory and jumping off point for interaction. Over in "Fantasyland Forrest" (when did we drop that name? Did we?) we have a strong Beauty and The Beast anchor in Enchanted Tales With Belle. This is the first totally new experience that opened in New Fantasyland. Like I said earlier I have a distaste for this particular franchise, but I'll try not to let that sully my thoughts. The biggest problem with this interactive meet and greet is actually in the interior spaces. Some look wonderful (Maurice's workshop) while the wardrobe room and library space look pretty atrocious. The surfaces are flat and untextured and look similar to a sweet sixteen hall in Staten Island. This directly goes against the majority of New Fantasyland which is textured to the max. Certain aspects of the show remain entertaining and very impressive. The magic mirror entrance is breathtaking and gasp worthy, and the Lumiere animatronic is seriously amazing. The show itself is cringe worthy for adults, but I understand while a fan of B&TB would enjoy it. However, I've NEVER seen the show where the kids weren't super awkward. They don't quite understand this situation. Is this a show? Am I supposed to be silly? What the heck am I doing with my life? In all honesty the show aspect of this meet and greet should be done with. Keep the awesome entrance and just incorporate a nice meet and greet with characters from the film. Opening at the same time as Enchanted Tales was Under The Sea - Journey Of The Little Mermaid. The big problems I had with Enchanted Tales are alleviated here. There is plenty of gorgeous texture. The queue, which is just switchbacks in California Adventure, is an outstanding experience. Over the top rock work riddled with seashells, sand, treasures, landscaping and WATERFALLS! Yes there are water features in Fantasyland again, thank god. The interactive game is confusing the first few times, but is definitely adorable. The attraction itself has major flaws in storytelling. The truncated version of the 1989 classic is confusing for even the most learned fans...let alone guests unfamiliar with the story. However, the attraction is super fun and grows in nostalgia with each ride. Adam for instance was a staunch opponent to the attraction upon first riding, but admittedly loves it now. This ride has become part of standard rope drop procedure with us. 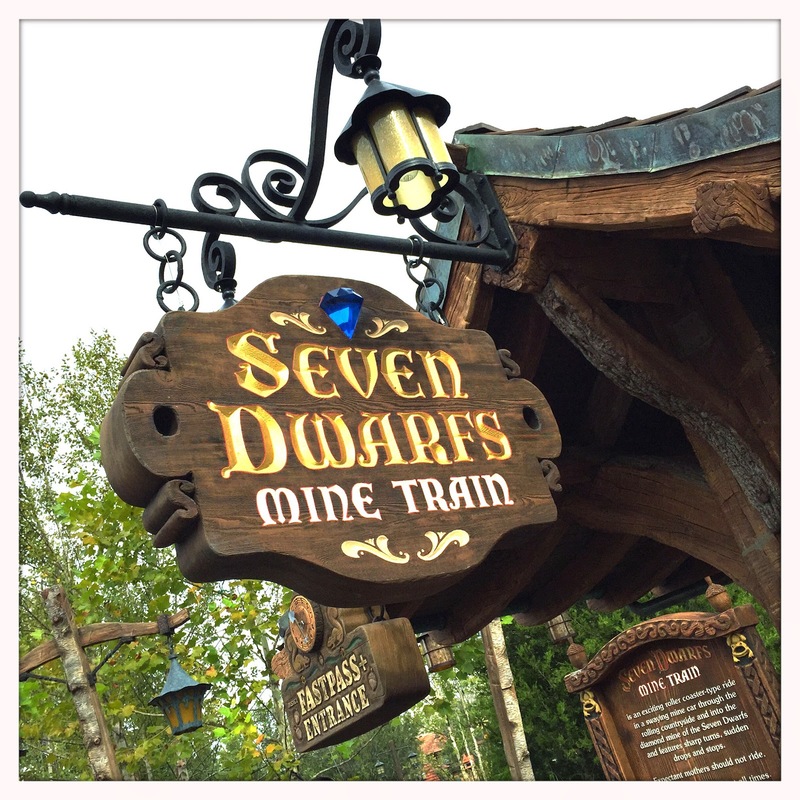 Finally we come to Seven Dwarves Mine Train, a last minute addition to New Fantasyland after the Pixie Hollow area of the design was so maligned. This was the most hyped attraction in the area by far, and because it opened a year and a half after the rest of New Fantasyland peoples expectations were pretty high. I understand that the attraction is super short, especially considering the super long waits that it demands. However considering the immersion factor that is crammed into such a small swath of land, the feat is super impressive. Short attraction: big experience. The queue and surrounding area acts more as atmosphere for the whole land, and is vital to the feel of New Fantasyland in a way that neither Belle or Ariel could bring. Shear layout of this attraction made it a big deal, which could have been either stupendous or horrendous. Luckily the landscape is pretty perfect...right down to the last fake tree. The ride is almost besides the point, but is in fact a total hoot. The "fast portion" provides just enough thrill to get everyone excited, while the whimsical dark ride section is seriously bringing the nostalgia. I love this attraction, and I'm excited for kids that get to grow up with this. Join us next week as we look at the food options of New Fantasyland! 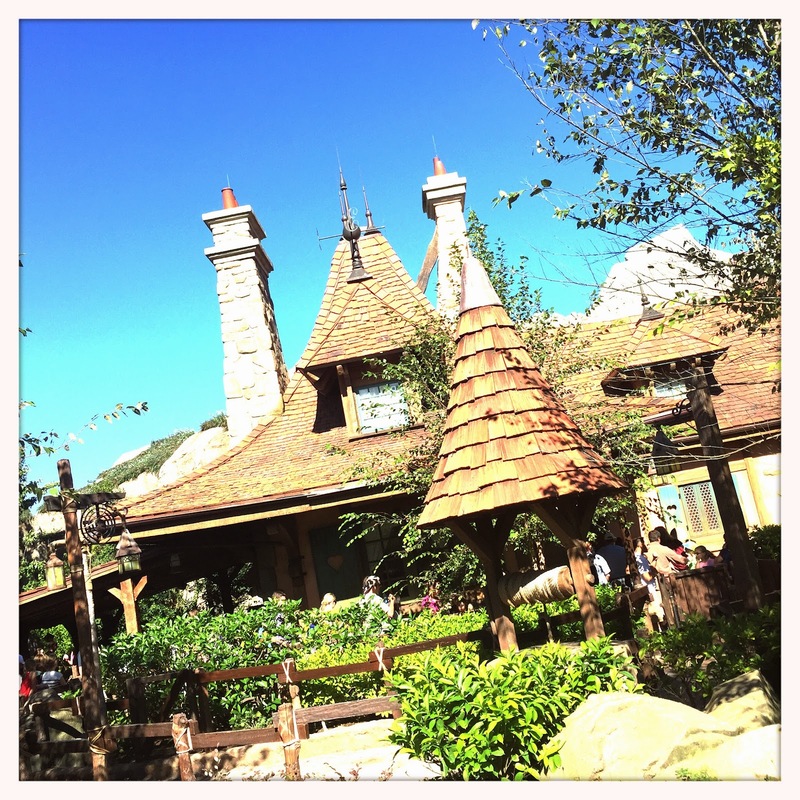 In the mean time, go ahead and follow Disney Hipster Blog on Twitter, Facebook, and Instagram! Cause, why not? I believe this is actually after the movie. Which if that is true she should be having dinner with the prince, not the beast.